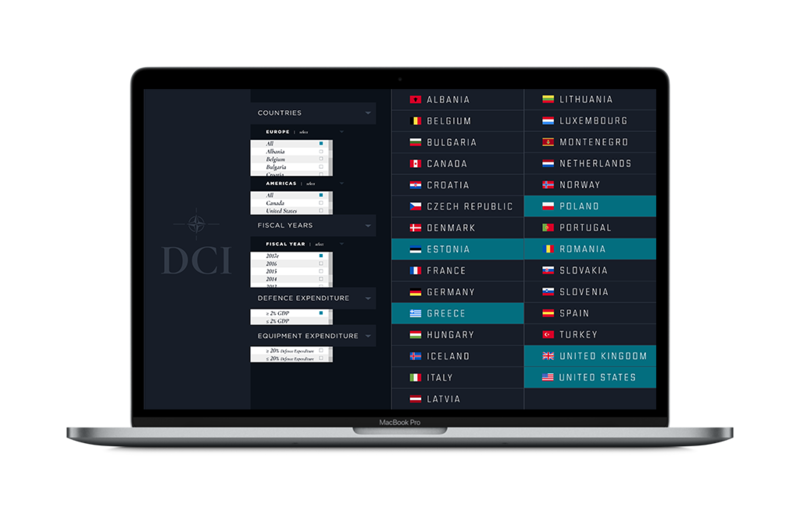 We’ve heard multiple U.S. presidents speak about how NATO members fail to fulfill their obligations. 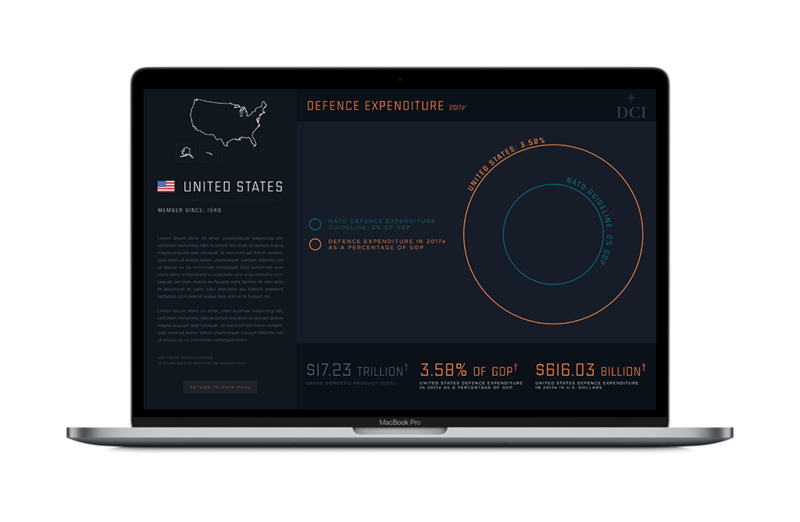 Although these statements don’t fully appreciate the nuance of NATO obligations, I started a data visualization project to offer a cursory view of the (2) NATO Defence & Equipment Expenditure guidelines and the subsequent meeting of those guidelines by its member countries. 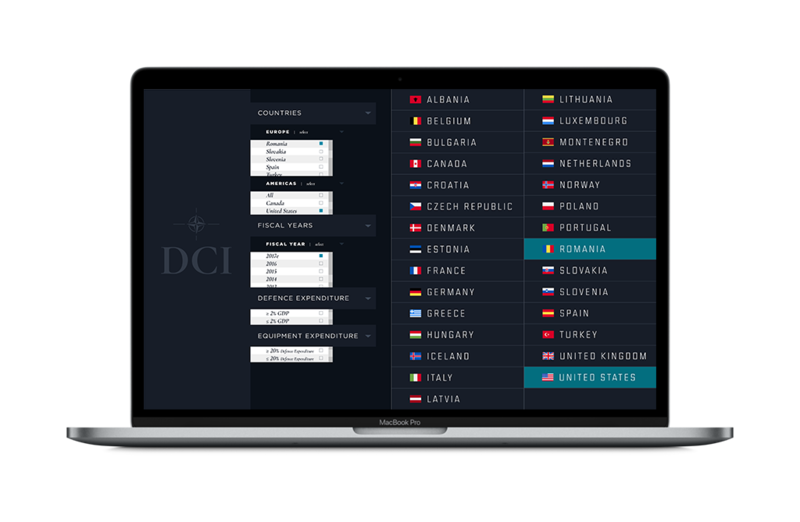 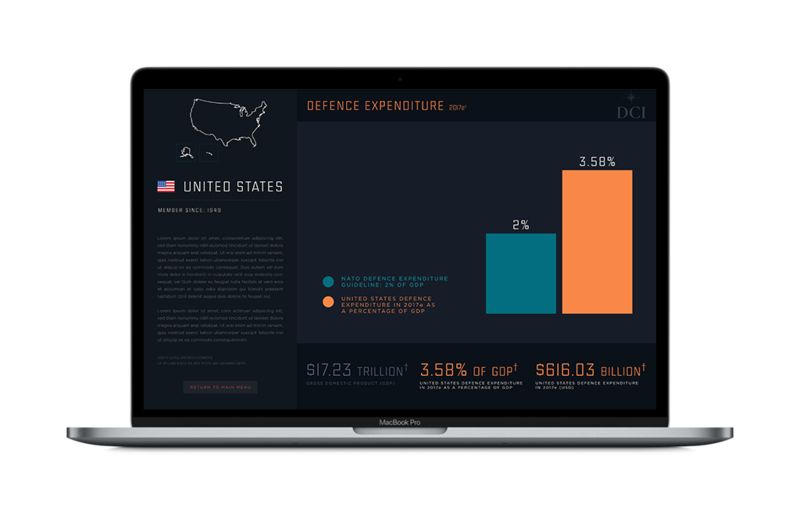 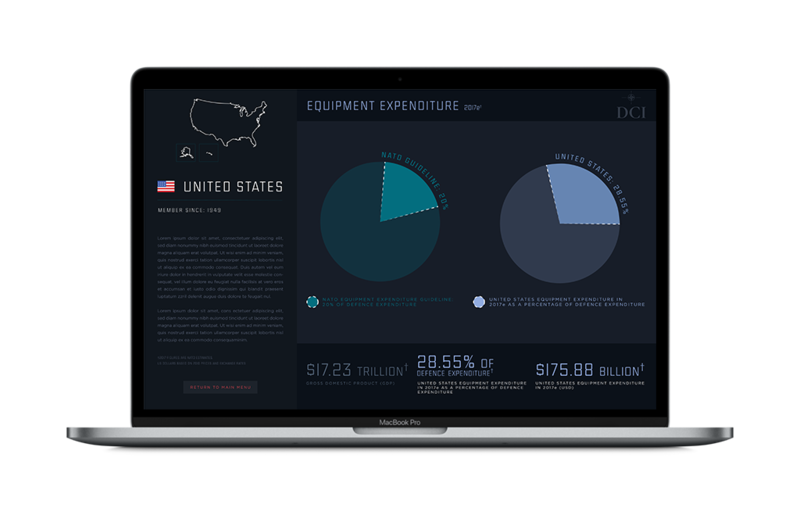 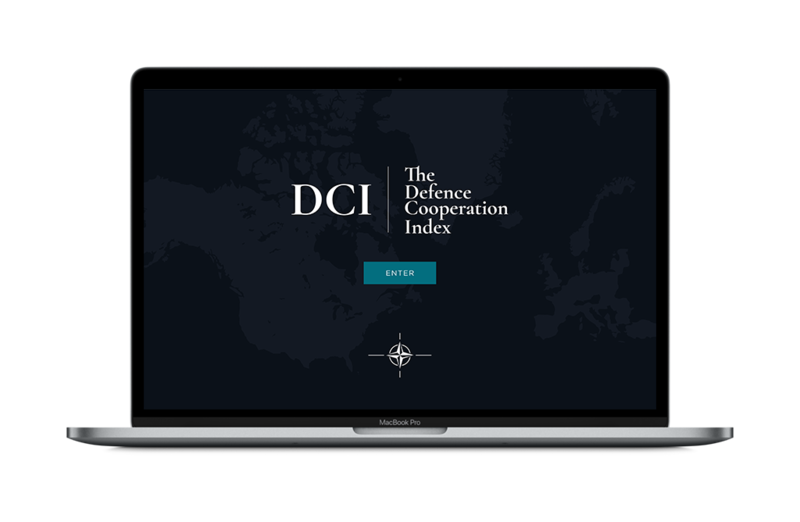 This is a conceptual data platform called the Defence Cooperation Index (DCI). 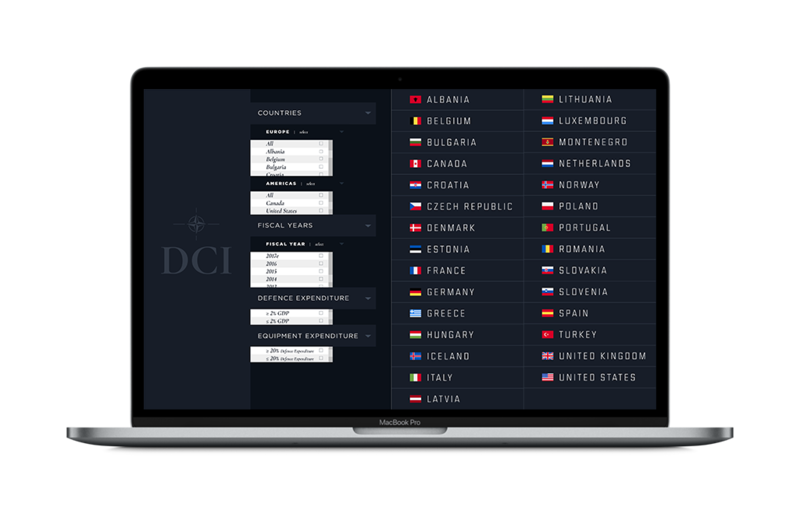 The platform is conceived for professionals familiar with NATO guidelines in an attempt to make country data more easily digestible. 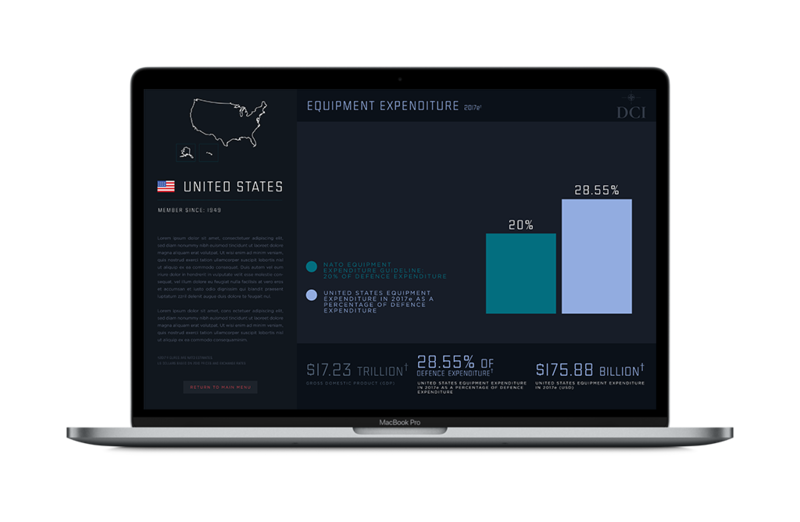 Below are samples of the interface and U.S. spending in 2017(est).